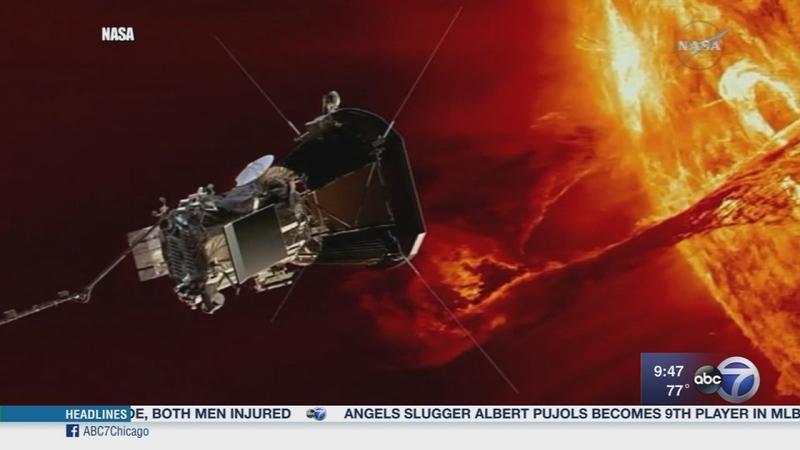 CHICAGO (WLS) -- A spacecraft launched next year will get closer to the sun than any other man made object in history and this mission has a connection to the University of Chicago. The spacecraft will be named the Parker Solar Probe in honor of University of Chicago Professor Emeritus Eugene Parker. The Parker probe is scheduled to launch in just over a year, July 31, 2018. To talk about this historic mission and what scientists may learn from it are Professor Rocky Kolb, dean of the division of the physical sciences and Eric Isaacs, the executive vice president for research, innovation and national laboratories at the University of Chicago. A spacecraft launched next year will get closer to the sun than any other man made object in history.